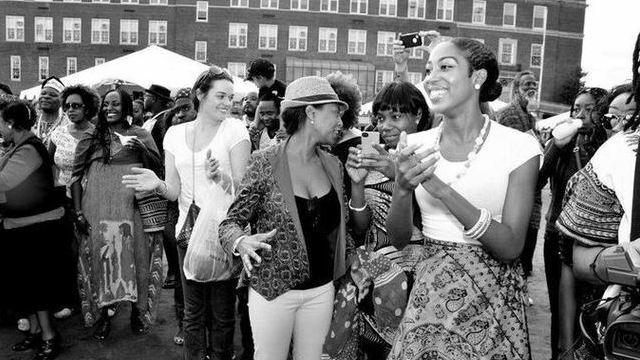 Photo from the 3rd DC African Heritage Festival organized by the Mayor's Office on African Affairs (OAA). Washington, D.C. (TADIAS) – The District of Columbia will mark the worldwide observance of the 50th anniversary of the African Union on Monday, September 30th during the 4th annual DC African Heritage celebration. The event, which is set to take place at the legendary Howard Theatre from 6:00 to 10:00pm, honors the District’s proclamation of September as African Heritage Month. Organizers say the annual gathering is spearheaded by the DC Mayor’s Office on African Affairs (OAA) and the DC Commission on Arts and Humanities. Ms. Nmezi shares that the festivities will highlight the Mayor’s Awards Ceremony “that pays special tribute to past and present leaders of the African Diaspora who have made unique contributions to the cultural and economic renaissance of the District’s African community.” The award categories include: Pan-African Bridge Builder Award, Arts Award, Cultural Education Leader Award, Institution Builder Award, Community Organizer Award, Business Leader Award, and Public Service Award.